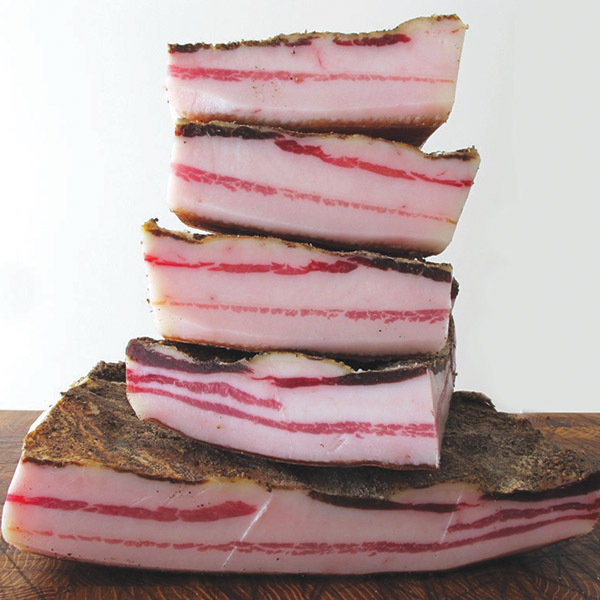 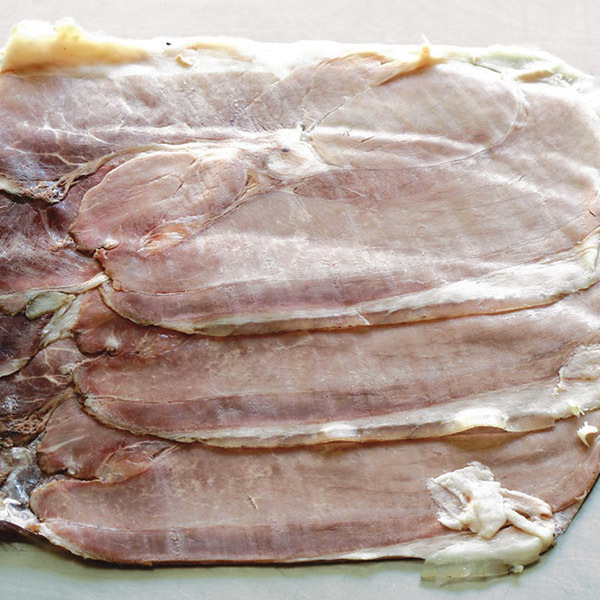 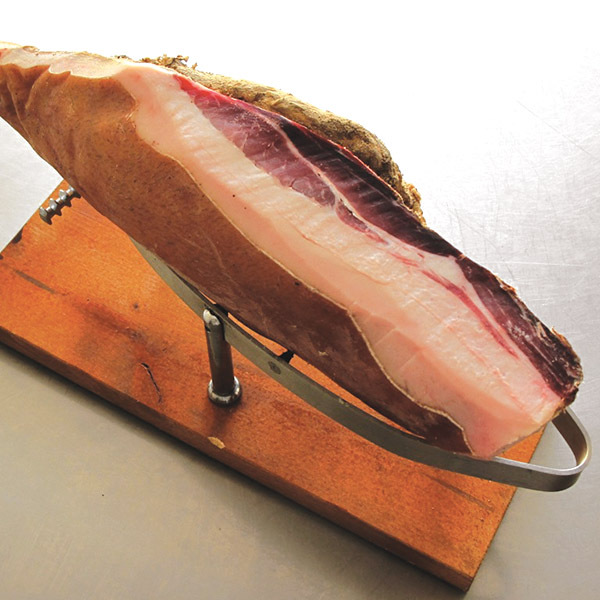 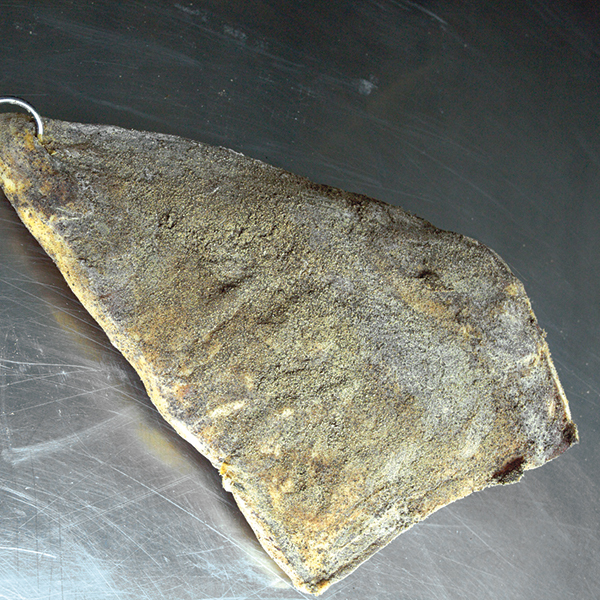 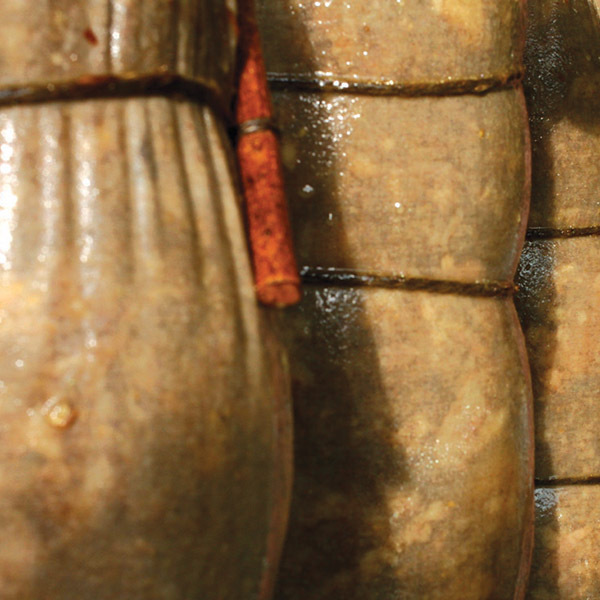 Our artisanal salumi (salt-cured meat) is made with our Cinta Senese pigs’ meat. 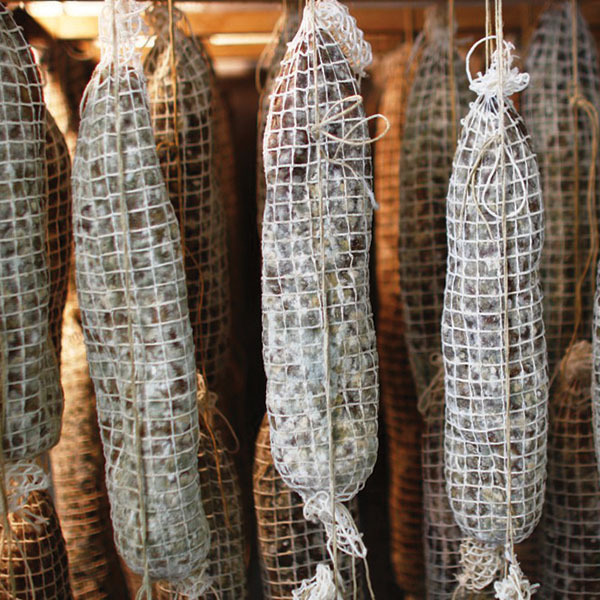 We cure salami by using sea salt, pepper, red wine and spices like rosemary, juniper and bay leaf, without adding any chemical preservatives or additives like nitrates or nitrites. 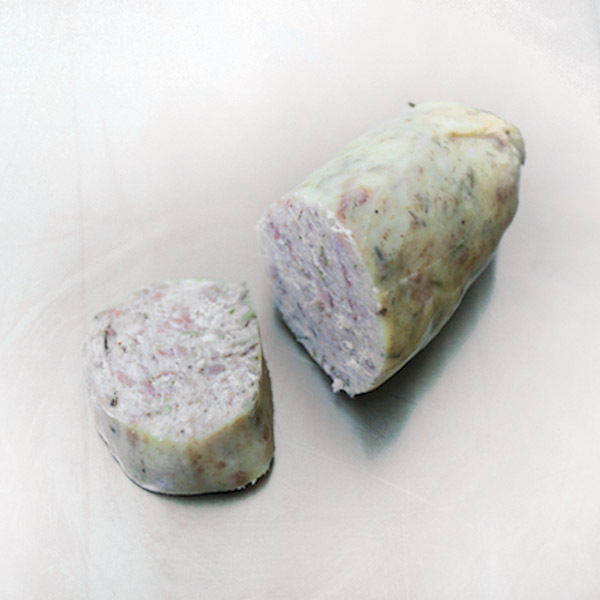 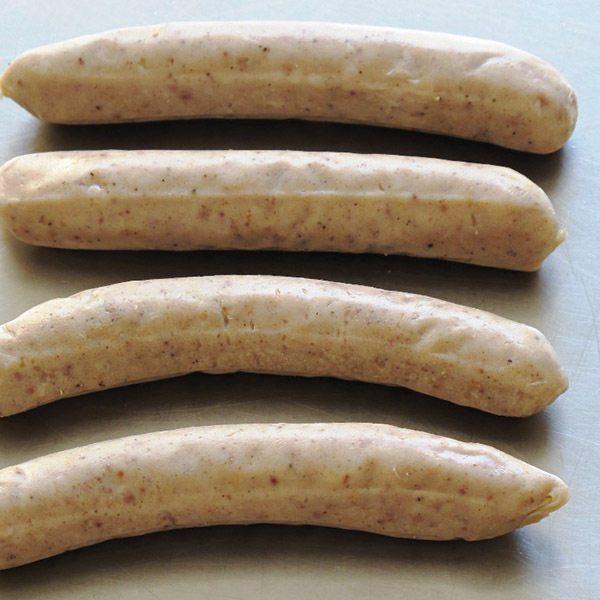 During the first production phase traditionally called “agliata” the meat is covered with apple vinegar and organic garlic paste. 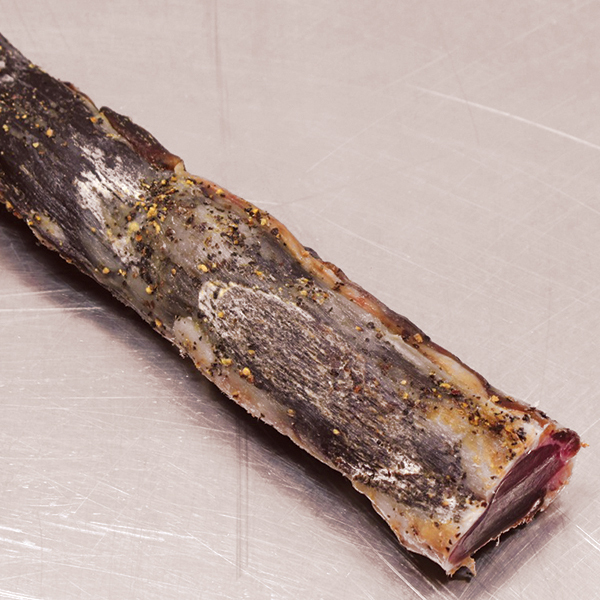 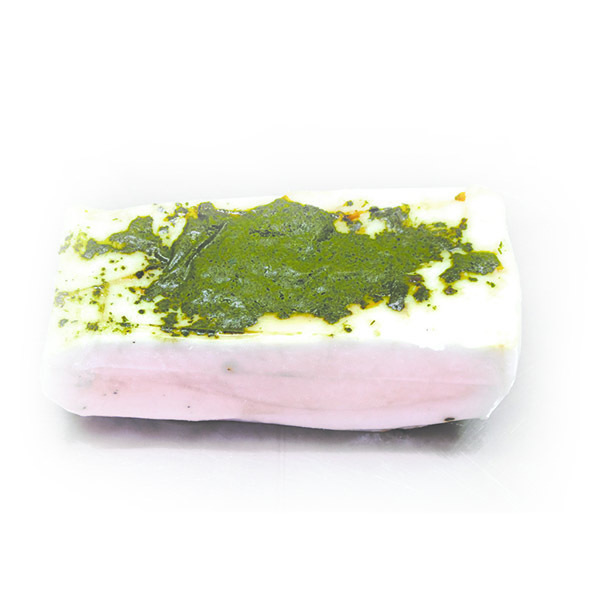 Garlic is used as a natural preservative and imparts good taste and aroma to the meat. 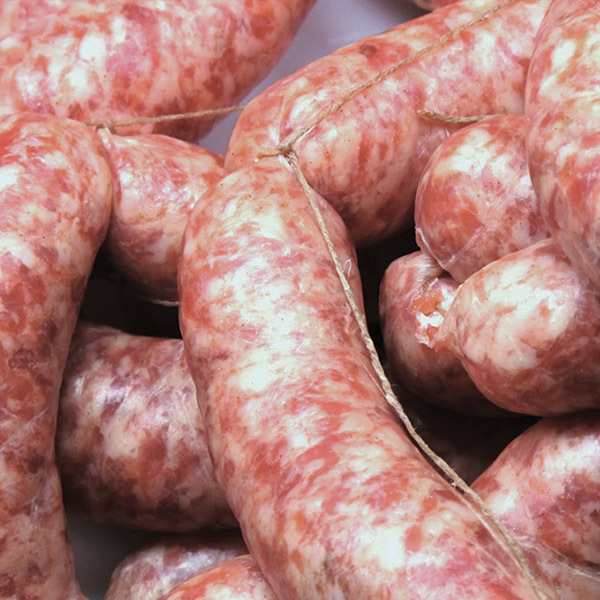 The traditional heavy use of salt for curing is often used to cover eventual unwanted flavours and aromas; unnecessary when using top quality meat such as the one we working with. 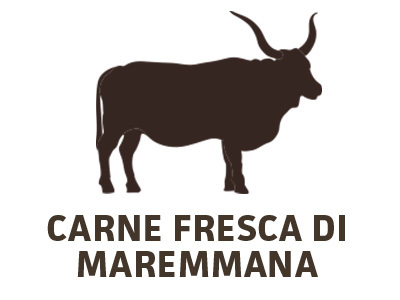 We want to offer top quality traditional Tuscan salumi that communicate our sustainable breeding practices and celebrate flavour. 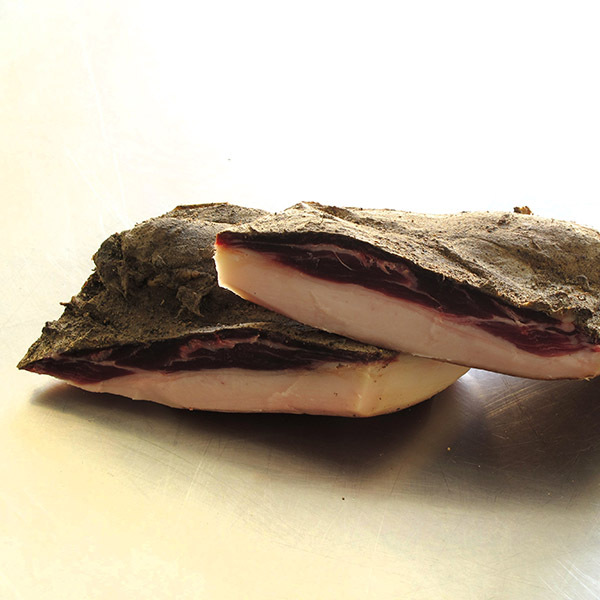 Cinta senese breed pork meat*, salt, pepper*. 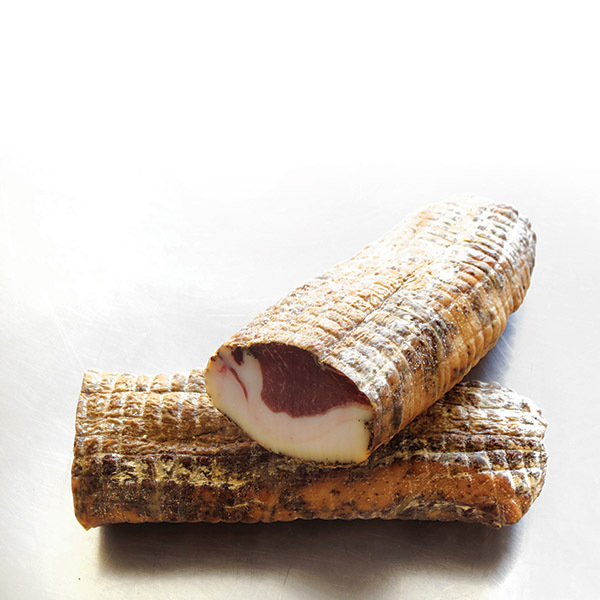 Cinta senese breed pork meat*, salt, raw cane sugar*, pepper*, chili pepper*, garlic*. 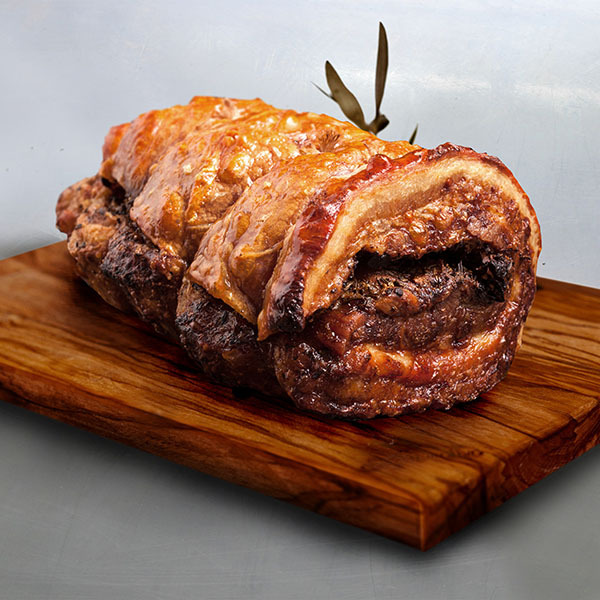 Cinta senese breed pork meat*, salt, pepper*, rosemary*, bay leaf*, juniper berries*. 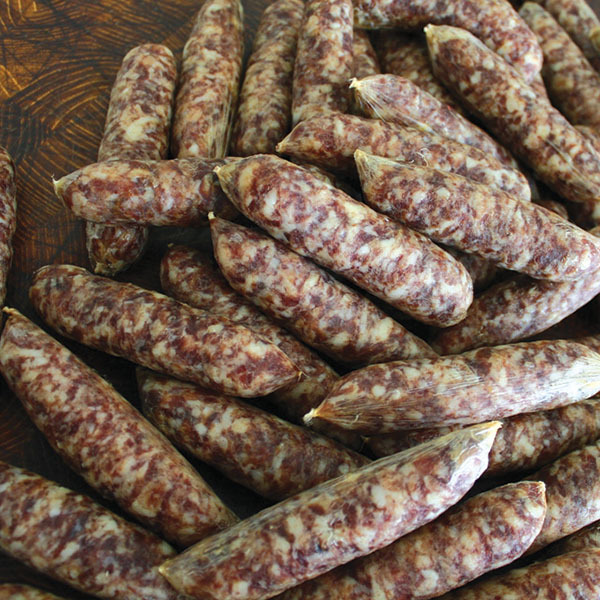 Ground Cinta senese breed pork meat*, salt, pepper*, red wine*(*organic ingredients). 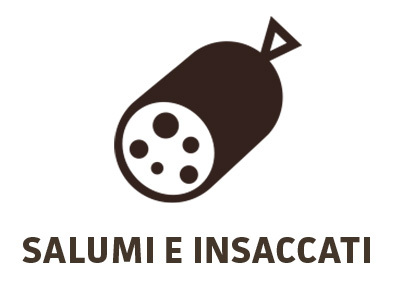 Cinta senese breed pork meat*, salt, lemon*, orange*, pepper*, chili pepper*. 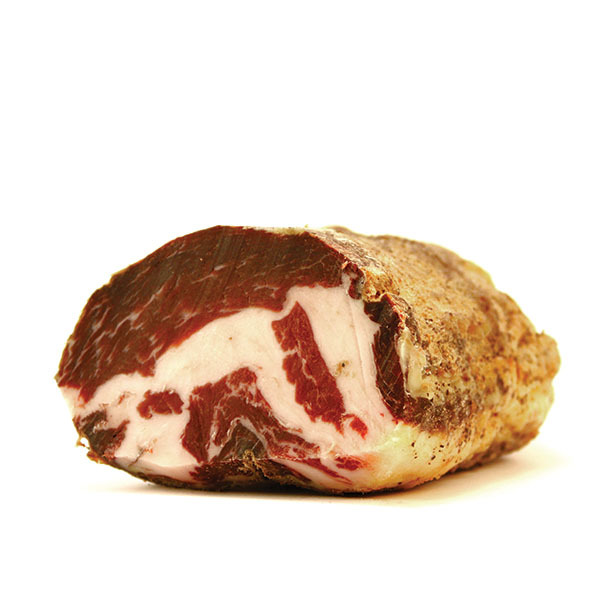 Cinta senese breed pork meat*, salt, garlic*, pepper*, red wine*. 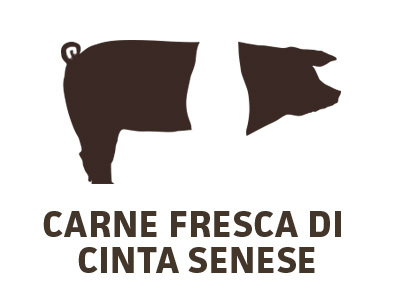 Cinta senese breed pork meat*, salt, rosemary*, pepper*. 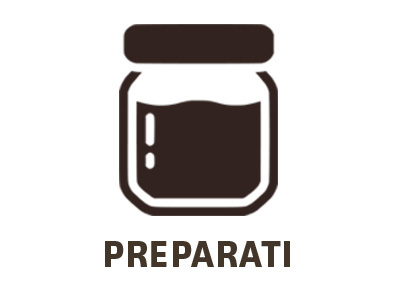 Cinta senese breed pork meat*, salt, cinnamon*, pepper*. 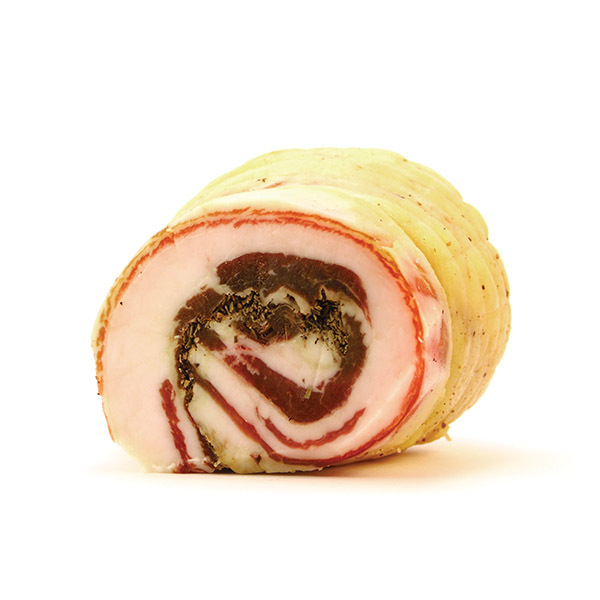 Cinta senese breed pork meat*, salt, pepper*, garlic*, sage*, rosemary*. 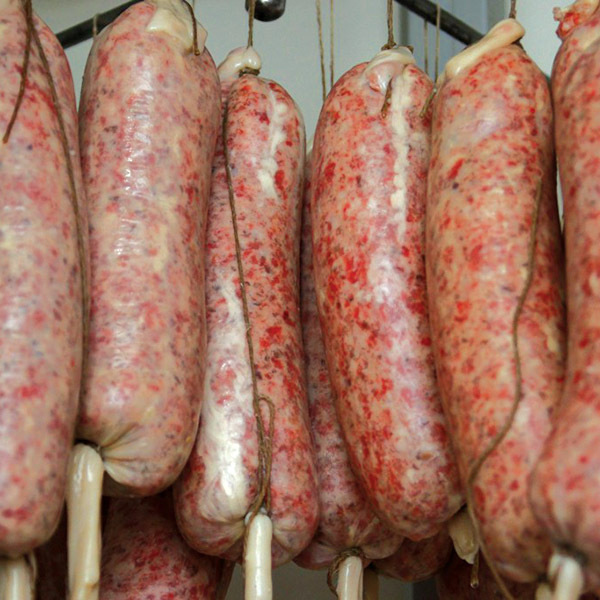 Ground Cinta senese breed pork meat*, ground maremmana beef meat*, water, salt, pepper*, chili pepper*, garlic*, cloves*, cinamon*. 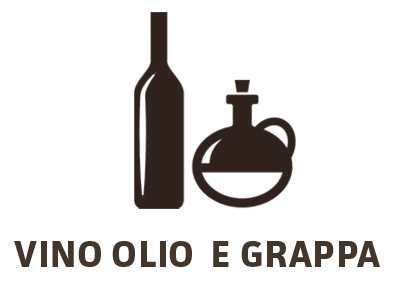 (*organic ingredients).